*Downloaded the kindle free on Amazon. 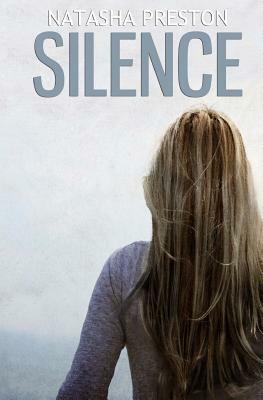 Silence is a bittersweet story depicting how a young girl tries hard to conceal a life-changing secret in order to keep her family together, while giving up something everyone wants so badly to hear again: her voice. I went into this story completely open minded. From the title, you could tell that something terrible happened to Oakley and she'd stopped speaking because of it. I had no idea she was "ordered" not to speak by someone in her life, someone she trusted. But when that started to come out as I read, I wanted to rip the guy apart for her. I was so sad for her and really wanted her to tell someone, especially Cole. Honestly, I think Oakley was really strong. I mean, she went through bullying and constantly having her mother try to fix her instead of just coming out and say what happened. It takes a lot of strength for someone to hang on as long as she did. But I think that was partly due to the love and support of the charming Cole. Cole was so sweet and protective. When he heard Oakley's voice for the first time, I believed his emotions in that moment. And even more when she confessed to him about what had happened to her. Like, the way he reacted, it was utterly real. The words, the description, everything felt real. I guess by now you've realized that I liked the story. It's not the average sweet and fluffy YA read, it conveys a heavy topic. And I think more people should read this book because this stuff happens in society, more often than we'd like to hear. It's very much a realistic fiction. I think the author did a good job writing it. The only reason that kept it from getting five stars is the ending. I felt like the entire story was written well and on a nice, steady pace, but when it got to the ending, it was so abrupt. That's my only issue with Silence. Otherwise, it's a good story depicting a sweet young love in spite of the pain. And that goes to show that no matter what you're going through, love will always prevail. My name is Natasha Preston, but most people call me Tash or Tasha. I don't mind either. I was born in England and have lived in small towns and villages out in the countryside ever since. My husband, Joseph, is the most supportive person in my life. Without his love, help and patience I wouldn't be where I am today. And this website wouldn't exist! I'm a proud mummy to an amazing little boy who is my whole world. At school I drifted through, achieving average grades. I fell into administration and receptionist jobs, thinking that I couldn't really do anything else. In 2010 I stumbled into writing completely by accident. I was searching the 'app store' and came across Wattpad, an amateur writing site. For the first few months, I just read, but then decided to type up some of the ideas I had floating around in my head. I'm so glad I did because I absolutely love writing. Writing gave me an escape, and Wattpad gave me the self-confidence I lacked. Thanks for the review. The book looks great. I just downloaded it on my Nook!! You had my curiosity piqued, and had me wondering what happened to her to make her take the vow of silence (though, not her choice). Please do. Hope you enjoy it! this looks good, i'm definitely going to download it! That's great. I hope you like the story.